The LGBT Health Resource Center and Chase Brexton have a special commitment to supporting LGBT Older adults. SAGECAP Baltimore is a unique partnership between the LGBT Health Resource Center of Chase Brexton Health Care and SAGE (Services & Advocacy for GLBT Elders). Our many programs and services are designed to help address the critical issues faced by LGBT older adults. The SAGECAP (Caring and Preparing) program offers one-on-one counseling, support groups, monthly workshops, assistance with financial and legal issues, referrals to aging services, and linkage to medical care for LGBT older adults and caregivers. SAGECAP supports informal caregivers who identify as LGBT themselves and/or care for someone who is LGBT. 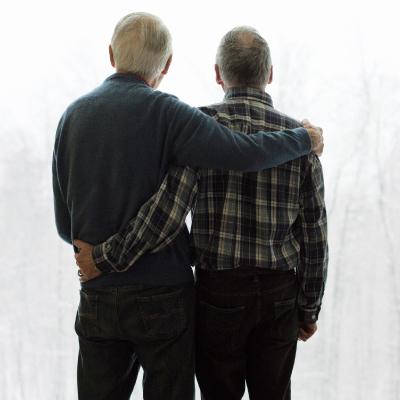 Some services are available directly to LGBT people over the age of 50. You do not need to be a patient of Chase Brexton to take advantage of SAGECAP services.